Spain offered on Monday to take in a humanitarian ship stranded in international waters with 629 migrants aboard as Italy and Malta both continued to refuse to let it dock. The European Union and the UN refugee agency had called for a swift end to the standoff involving the Gibraltar-flagged Aquarius ship, whose passengers include 11 children and seven pregnant women rescued off the coast of Libya at the weekend. The ship had sailed north towards Italy but Matteo Salvini, the head of the far-right League party who became interior minister this month vowing to curb an influx of migrants from Africa, blocked it and said it should go to Malta instead. Malta refused, saying it had nothing to do with the rescue mission, which was overseen by Italian coastguard. The tiny island nation says it already accepts more refugees per capita than Italy, which has taken in more than 600,000 boat migrants since 2014. Read: Is Malta really receiving no migrants? "Saving lives at sea is a duty, but transforming Italy into an enormous refugee camp is not," Salvini said on Facebook on Monday. "Italy is done bowing its head and obeying. This time there's someone saying no." In a possible solution to the impasse, Spanish Prime Minister Pedro Sanchez, a socialist who took office just over a week ago, gave instructions that the ship be allowed to dock in the eastern port of Valencia. Hearing of Spain's offer, Salvini said the standoff had been resolved thanks to the "good heart" of the Spanish but the EU could not rely on such one-off gestures to deal with migrants reaching Italy. Speaking in central Italy during a visit to earthquake-hit towns, Italian Prime Minister Giuseppe Conte thanked Spain. "This is an important turning point. Starting today, Italy is no longer alone," Conte said on Facebook. Now it is time for "more fair" EU asylum rules, he added. Spain's step will raise pressure on EU partners ahead of a June 28-29 summit as Italy seeks changes to the bloc's asylum law so that all countries share the burden of the mass arrivals. "This is the big moment for Salvini to put his money where his mouth was," one EU official handling migration issues said before Spain's offer was announced. 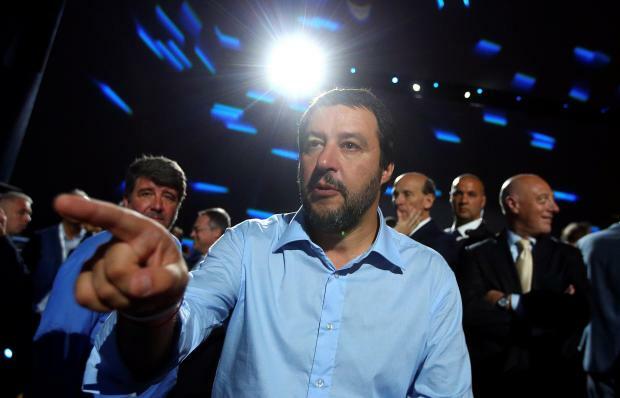 "Salvini will be hoping either for the migrants to be put ashore in a different EU country, or he will eventually let them land in Italy in return for concessions for Italy's case from the EU," he added. SOS Mediterranee, the charity co-operating the migrant ship, said it was awaiting instructions about where to disembark from Italy's coastguard, which coordinated the sea rescues. Valencia is almost three days' voyage for the Aquarius, while Italy and Malta are just hours away. The NGO reported at 6.30pm that tension was building up onboard. Maltese Prime Minister Joseph Muscat was also appreciative of Spain's move though said migrants were an EU-wide matter. "I thank Spain PM Sanchez for taking in Aquarius after Italy broke international rules and caused a standoff," Muscat said on Twitter. "Malta will be sending fresh supplies to the vessel. We will have to sit down and discuss how to prevent this from happening again. This is a European issue." Conte said he would discuss the situation further with Salvini and other ministers on Monday evening. Pictures from aboard the Aquarius, which is operated by SOS Mediterranee and Doctors without Borders, showed hundreds of Africans huddled aboard, including a young girl wrapped in a blanket in the arms of a rescue worker. "People are in distress, are running out of provisions and need help quickly," the UN refugee agency had said in a statement, urging governments to set aside political considerations. "Broader issues such as who has responsibility and how these responsibilities can best be shared between states should be looked at later," UNHCR special envoy Vincent Cochetel said. SOS Mediterranee said the Aquarius had enough supplies to feed the migrants at least for another day. Migrants are rescued by staff members of the MV Aquarius. EU law requires asylum seekers register in the first safe country they reach, but frontline countries such as Italy and Malta say the burden needs to be shared out across the bloc. "This is not an inhumane act," Transport Minister Danilo Toninelli, in charge of Italy's ports and coast guard, said earlier with respect to Rome's refusal to accept the migrants. "It's common sense... We ask that all of Europe assume responsibility for such a delicate and important issue as is immigration," he said in a TV interview. Not everyone in Italy agreed with Salvini's hard line; the mayors of a number of southern cities, including Naples, Palermo and Messina, said they would welcome the migrants. Palermo Mayor Leoluca Orlando said Salvini was "violating international law which makes saving lives a priority". The European Commission urged action. "We are talking about people... The priority of both the Italian and Maltese authorities should be ensuring these people receive the care they need," Commission spokesman Margaritis Schinas told a news conference. "We call on all involved to contribute to a swift resolution so that the people on board the Aquarius vessel may be safely disembarked as soon as possible." Muscat said on Sunday he had told his Italian counterpart, Giuseppe Conte, his country would not take the ship. "We are concerned at Italy authorities' directions given to Aquarius on high seas. They manifestly go against international rules, and risk creating a dangerous situation for all those involved," Muscat said. By law, it would be difficult for Italy to refuse the boat a safe haven, as its own coastguard coordinated the rescues, picking up more than 280 migrants in its own vessels before transferring them to the Aquarius to be taken to safety. Salvini doubled down on his position earlier on Monday, warning another rescue ship, the Sea Watch 3, registered in the Netherlands and operated by a German charity, that it may not be allowed to dock in Italy if it picks up migrants off Libya, where it is currently sailing. "Malta is not acting, France rejects them, and Europe doesn't care," Salvini wrote. "I've had enough." 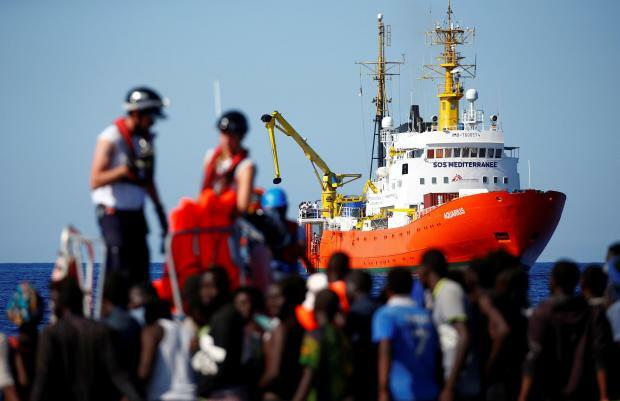 The Sea Watch still did not have any migrants on board, spokesman Ruben Neugebauer said. While he agreed that there should be a more fair distribution of migrants in the EU, he said Salvini was "making a point at the cost of people in distress ... It's highly irresponsible." 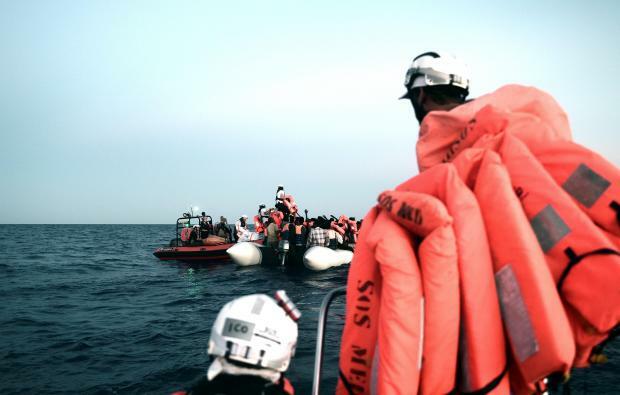 A group of Maltese NGOs commended Spain for accepting the migrants, saying that witheithout this intervention, the impasse between Italy and Malta over where to disembark the rescued migrants could have easily led to a humanitarian disaster. "Spain’s intervention is an act of true solidarity, not only among EU member states but also – and more importantly – with migrants and refugees trying to secure a safer life," the statement said. "Whilst we appreciate the need to clarify specific legal responsibilities, the spirit of the law is to ensure the safety of all rescued persons, and also the integrity of the rescuing vessels and its crew. We also stress that disembarkation in unsafe places, such as Libya, would violate international human rights law and international law, and should therefore not be considered as an option." The statement was issued by Aditus Foundation, African Media Association Malta, Integra Foundation, International Association for Refugees, Isles of the Left, JRS Malta, KOPIN, Malta Emigrants’ Commission, Migrant Women Association Malta, Moviment Graffitti, People for Change Foundation, Platform of Human Rights Organisations in Malta and SOS Malta.